Painting: Håkon Håkonsson, the two-year-old future king of Norway, being taken from Lillehammer to Østerdalen in 1206. Ultimate safety for the prince lay further on, in Nidaros (now Trondheim). The intrepid Birkebeiner skiers are Torstein Skevla and Skjervald Skrukka. Painted in 1869 by Knud Larsen Bergslien (1827-1908). Thanks to Mike Brady for the history. Prehistory: Rock paintings and skis preserved in bogs show that hunters and trappers used skis at least 5000 years ago, but skis are even older than that: As glaciers retreated, stone age hunters followed reindeer and elk herds from central Asia's Altai region, moving to the northwest and northeast, using skis covered with fur that worked like modern climbing skins. Skis came to be used across the Eurasian arctic regions. Early modern period: Skis were in regular use by Scandinavian farmers, hunters and warriors throughout the Middle Ages. 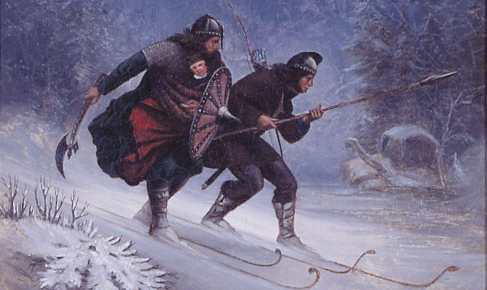 By the 18th century, units of the Swedish Army trained and competed on skis. Before 1840: The cambered ski was developed by woodcarvers in the province of Telemark, Norway. The bow-shape cambered ski arches up toward the center to distribute the weight of the skier more evenly across the length of the ski. Before this, skis had to be thick to glide without bowing downward and sinking in the snow under the skier’s weight, concentrated in the middle. If a ski is allowed to bow downward this way, the skier finds himself constantly skiing uphill, out of a hole his own weight has made in the snow. Camber made possible a thinner, lighter ski that did not sink at the middle. The thin, cambered ski floated more easily over soft snow, flexed more easily to absorb the shock of bumps, maneuvered more easily because it was lighter and easier to swing into a turn. The thinner, lighter ski ran faster and maneuvered with better agility than the clumsier sideways skid of the plank-thick older “transportation” skis. In a parallel development, skimakers learned that sidecut enabled more agile turning. 1868: Sondre Norheim demonstrated the Telemark ski, with a sidecut that narrowed the ski underfoot while the tip and tail remained wider. In the same way as the camber, the sidecut produced a ski that flexed more easily when tipped on edge, so that in a turn its edge followed the shape of the turn instead of skidding sideways. He also popularized a stiffer binding that held the heel centered over the ski when turning. Norheim and his friends formed a small pioneer group of early skiers who improved the ski as they developed the first dynamic turns in downhill running, from 1850 to 1900. 1882: Most high-quality Eurpean skis were made of strong, springy ash. In 1882, the first hickory skis produced in Norway. Hickory is so hard and tough that it was difficult to work with traditional hand tools. But with modern carbon-steel tools, Norwegian ski makers began turning out hickory skis. The tough wood made it possible to build a thinner, more flexible ski with good strength, and the hard base was less likely to gouge and scar enough to slow the ski down or cause it to sideslip during a downhill run. Hickory was imported at great expense from Louisiana, and Norwegian immigrants in Wisconsin and Minnesota very quickly figured out that, with easier access to lumber stocks, they could make excellent quality hickory skis more cheaply than their friends back in the old country could. By 1887 several Norwegian skimakers, like the Hemmestveit brothers, had relocated to the U.S.
1893: The first two-layer laminated ski was built by H.M. Christiansen, in Norway. Using a tough hickory or ash base with a lighter body of spruce or basswood made for a lighter, springier ski and reduced the need to carve up thick planks of expensive hardwoods. But the flexible hide glues then in use were not strictly waterproof, so the skis tended to delaminate after a few days’ hard use. Meanwhile, in Glarus, Switzerland, carpenter Melchior Jacober launches what is apparently the first ski factory in Central Europe. 1905: An alpine unit of the French Army undertook the first series production of a Telemark-style ski in France, at Briancon. 1926: The segmented steel edge, invented by part-time mountaineer Rudolph Lettner of Salzburg, Austria, gave skis much better grip on hard snow while still allowing the wood to flex naturally. However, the segments had to be screwed into the ski, and tended to come loose. Worse, edge segments could break in two. In that case, it was difficult or impossible to continue skiing. Skiers usually carried spare edge segments, along with a screwdriver, screws and glue, to make field repairs. 1928: Swiss ski racer Guido Reuge invents the Kandahar binding, using a spring-loaded cable to hold the heel down for alpine skiing. 1928: Solid aluminum ski prototyped in France. 1932: The first successful three-layer laminated skis were invented by Bjørn Ullevoldsaeter in Norway and independently by George Aaland in Seattle. Because they were made with really waterproof casein glues, the skis did not delaminate easily and lasted much longer. 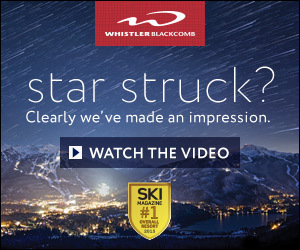 When it was found that skis with vertically laminated cores proved lighter, livelier, and stronger, sales took off. The first of these skis were marketed under the Splitkein (“split-cane”) label in Norway and as Anderson & Thompson skis in the U.S.
1934: Limited production of solid aluminum ski by Joseph Vicky in France. 1936: Aluminum ski poles reach mass production in Saint-Ouen, France. 1937: R.E.D. Clark of Cambridge, England, developed the formaldehyde-based adhesive Aerolite to hold airplanes together– for instance, it was used in the all-wood deHavilland Mosquito bomber. Aerolite phenol glue is still manufactured by Ciba-Geigy. In 1941 he created Redux, used to bond aluminum and other impervious metals. 1944: Cellulix, the first cellulose plastic bottom, made to go on Dynamic skis in France. 1945: The Vought-Sikorsky aircraft company used Redux glue to create Metalite, a sandwich of aluminum with a plywood core, for use in airplane skins. Three Chance-Vought engineers, Wayne Pierce, David Richey and Arthur Hunt, used the process to build an aluminum-laminate ski with a wood core. A thousand pairs of the Truflex ski were made but when aircraft production picked up, the company dropped the project and did not release the patent. It was the first mass-produced aluminum ski. It was more easily flexed than a wood ski, less easily broken, scarred or damaged. It did not warp with use. 1946: The Gomme ski was produced by furniture-maker Donald Gomme in England. A laminated wood core was sandwiched between two top plastic layers and a bottom metal layer, with a wood veneer sole to hold wax. It was the first ski to use three different layered materials. Gomme-equipped racers failed to impress the world at the 1948 Olympics and Gomme returned to making furniture. 1947: Pierce, Richey and Hunt founded TEY Manufacturing to produce the aluminum Alu 60, a hollow aluminum ski consisting of nested hat-section channels on top and a flat aluminum plate on the bottom, all bonded together using Redux adhesive. It had drawbacks: The aluminum base stuck to soft snow and did not hold wax well, and the ski was essentially an undamped spring. The aluminum edges of the bottom plate wore out quickly. It was renamed Aluflex in 1948, its second year of production, and TEY shipped 12,000 pairs. But the undamped ski was nearly unskiable on hard snow, and the patent was sold to Johnny See-saw. TEY instead developed the first snowmaking gun, an immediate commercial success. In 1955, the Aluflex patent was duplicated in Switzerland by Sikorsky engineer Serge Gagarin (TEY's sales agent) and assigned to Attenhofer; the ski was manufactured by Charles Dieupart in France. Eventually, with the addition of a wood core, the design evolved to become the Dynastar MV2. 1947: Howard Head, another aircraft engineer, created an aluminum sandwich ski with a lightweight plasticized-paper honeycomb core. The aluminum bottom had no steel edges. The ski was too light to track well, and broke easily when flexed. However, it worked well in powder and served as a prototype for the later successful Heads. 1948: TEY Tape, a self-adhesive cellulose plastic running surface, is invented by the TEY trio. It would adhere to either metal or wood skis. TEY tape did not stick to most snow and it could hold wax. 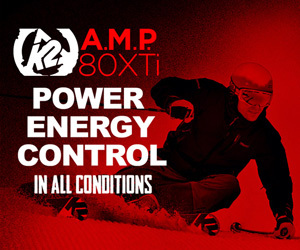 It was sold as part of the Aluflex and also offered through ski shops for application to any ski. Disadvantage: TEY Tape was soft, and relatively easily ripped. 1948: Chris Hoerle of Torrington, Connecticut, created the stainless steel Chris ski, the first ski with a continuous, low-drag, integral steel edge. This edge was quickly adopted by Head. The Chris ski usually had a TEY tape base. Hoerle made about 200 pairs but the ski was never brought to market. 1949: Howard Head’s plywood-core, pressure-bonded aluminum Head Standard with continuous integral steel edge began its journey toward becoming the most commercially successful early metal ski. It had a plywood core glued under pressure and heat between top and bottom aluminum sheets with plastic sidewalls. The bottom sheet had a continuous full length steel edge. It was the first successful ski made of very different components. The secret to success was Bostik, a flexible contact cement that allowed the different layers to shear against each other without weakening. Head skis, along with competitors and imitators, supplanted at least half the wood skis by 1960. 1952: The first fiberglass-reinforced plastic ski, the Bud Phillips Ski, was not satisfactory enough to endure. The same applies to both the Holley Ski, created by Dan Holley of Detroit, and the Dynaglass ski by Dale Boison, both introduced in 1955. But these early attempts spread the idea of the possibility of a ski with more liveliness and less vibration than could be achieved with an aluminum ski. 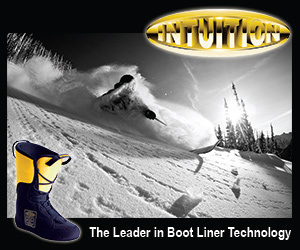 Designers saw that a fiberglass ski might be lighter and easier to turn than the best metal skis. 1954: The first polyethylene base is introduced in Austria by Kofler. Kofix proves slippery enough in most snow conditions to eliminate the need for wax. It is easy to repair minor scratches and gouges by melting more polyethylene into it. A similar material made by InterMontana in Switzerland is marketed under the brand name P-tex. Polyethylene is widely adopted by ski factories, and supplanted earlier plastic bases like Cellulix. With the addition of a polyethylene base, Howard Head introduces the final version of the Head Standard ski. 1954: Emile Allais, the pre-war world alpine champion, returns from five years working in North and South America, carrying several pairs of Head skis. 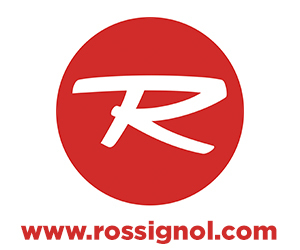 He convinces Laurent Boix-Vives, new owner of Rossignol, to build the aluminum Metallais and Allais 60 aluminum skis, which revolutionize downhill racing beginning in 1959. 1959: The first successful plastic fiberglass ski was invented by Fred Langendorf and Art Molnar, in Montreal, and marketed under the Toni Sailer label. From then on, the concept spread rapidly. 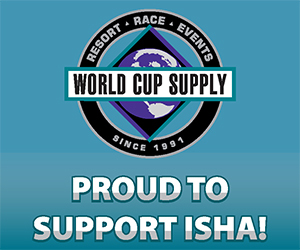 By 1968, fiberglass had supplanted both wood and aluminum for use in slalom racing skis and in most recreational skis. Aluminum laminates remained important for all high-speed skis (GS and downhill). Aluminum/fiberglass compound skis proved popular for recreational cruising and for use in deep powder. 1970: First fiberglass cross country skis introduced by John Lovett of Boulder, Colorado. 1970s: Steady improvement in plastic materials. Prepreg fiberglass construction proves efficient but very expensive. S-glass supplants E-glass in wet lay-ups. Manufacturers mix small quantities of Kevlar, carbon fiber, ceramic fiber and other high-strength materials into fiberglass to help improve strength, resilience, damping, torsion – or simply to improve marketing buzz. Sintered polyethylene begins to supplant extruded polyethylene as a tough, wax-retentive, high-speed base material. 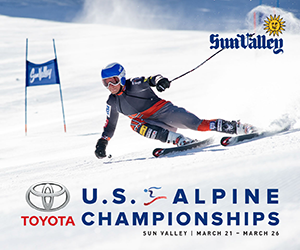 1989: Volant skis, the first commercially manufactured steel ski, introduced by Bucky Kashiwa. The factory fails in 2001 due to high labor costs and production is moved to Austria. Some of the Volant production equipment is bought by David Goode, who uses it to produce a ski made largely of carbon fiber.